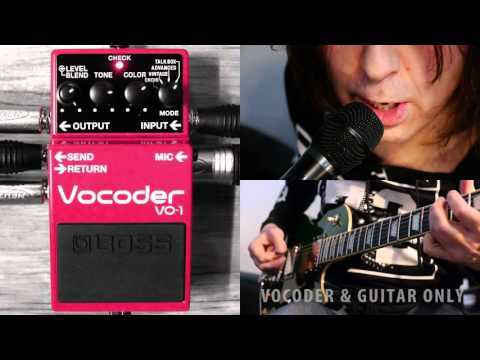 With the VO-1, BOSS has made the vocoder straightforward and incredibly simple to use. First off, it connects to your rig like any other pedal. 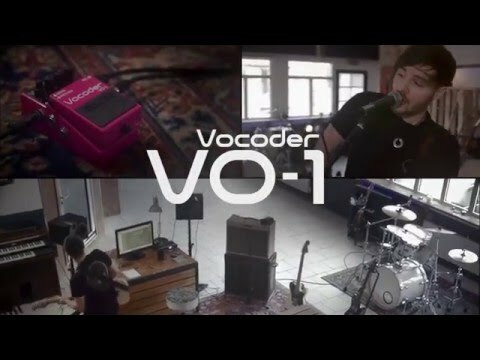 The only additional connection needed is a microphone, which you’ll use to drive the VO-1’s vocoder engine when using the first three modes. After that, just turn on the effect, tweak the knobs, and vocalize into the mic as you play. Don’t worry—you don’t even need to be able to sing in tune. You handle all the pitch control with your hands as normal, while the VO-1 applies the complex formant characteristics of your voice to the tone in real time. The VO-1 also features an effect loop for patching in external effects, plus a Blend knob for mixing vocoder and straight tones together. Features • Innovative, easy-to-use vocoder pedal powered by BOSS’ famous guitar synth technology. • Use your voice to dramatically extend the expressive range of your instrument in countless ways. • Vintage mode for classic electronic synth-voice sounds and Advanced mode for all-new vocoder tones with enhanced clarity. • Talk Box mode enables “talking lead guitar” tones without the hassles of a traditional talk box setup. • Choir mode for achieving rich vocal sounds with no mic connected. • Effect loop for sound enhancement and easy integration with existing pedals. • Works with guitar, bass, or any instrument with a 1/4-inch output.